Tokyo will host the 2020 Olympics, beating off the challenges of Madrid and Istanbul. 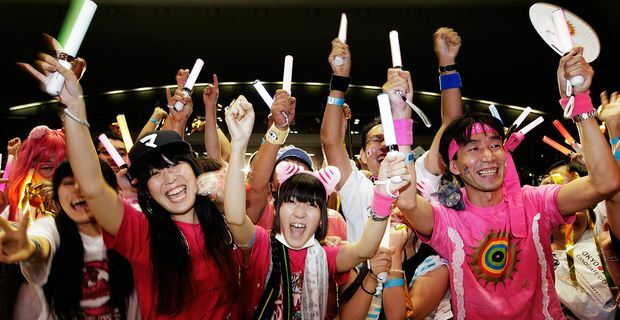 Japan reacted with joy, seeing the Olympiad as a chance to banish the gloom of a stagnant economy and the Fukushima power plant disaster. IOC delegates in Buenos Aires decided in favour of Tokyo after many had predicted that Madrid would have been the safe option. Madrid's challenge foundered in the first round of voting when it tied with Istanbul. When the tie-break went the way of Istanbul, it was apparent that conservative IOC delegates would prefer Tokyo's restrained bid over Istanbul's idealistic vision of uniting Asia and Europe, especially given the unrest in neighbouring Syria. Tokyo governor and bid leader Naoki Inose said: "Here in Buenos Aires, we have received many voices of support and felt the passion from people in Japan. I am overjoyed to learn that our dream has come true." Japan's Prime Minister Shinzo Abe had flown to Argentina to reassure delegates that the Fukushima nuclear reactor disaster would not affect the Olympic plans. "The moment of truth is coming and we'd like to do our best to live up to your expectations," he said. Tokyo's presentation followed the blueprint established by London's successful pitch for the 2012 Games. Casting around for their own Prince William, they came up with Princess Takamado, a member of the royal family who rarely leaves Japan because of the stifling protocol surrounding royals. The Olympic delegates were suitably flattered. Madrid was disappointed once more. After witnessing the regenerative effect that the Barcelona 1992 Olympics had on Spain, the capital has been desperate to stage its own Olympiad, despite Spain's dire economy. Spanish tennis player Feliciano Lopez, a little short on Olympic spirit, called the choice "disgraceful", saying the IOC "had no regard for fair play and values all other interests above sport". As seasoned IOC observers might respond, "Well, duh".